Lab projects such as moves, new program design/implementation, etc., either diverts your Lab Operations team from their primary duties and/or may require skills and experience that your team doesn’t have. Supplement your project with our team of Lab Operations Project Managers who have spent their careers managing the various projects that our laboratory customers encounter. 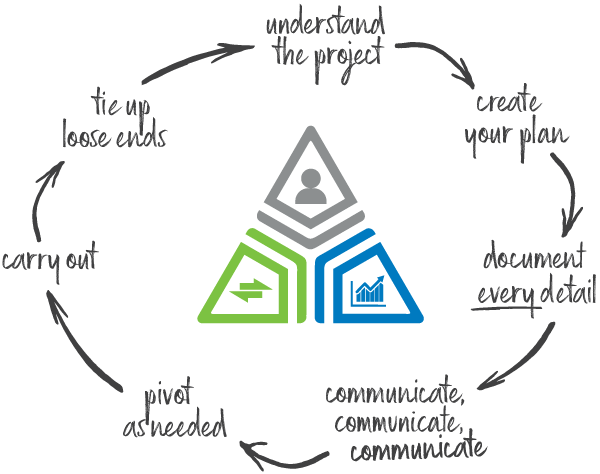 From kick off through project completion, and through any diversions that arise along the way, your project manager will ensure your project stays on time and work quality remains high. By lending their expertise in both vendor management and lab management, they will provide consistent, multi-point communication to all relevant parties and will deliver a highly documented and detailed project portfolio.